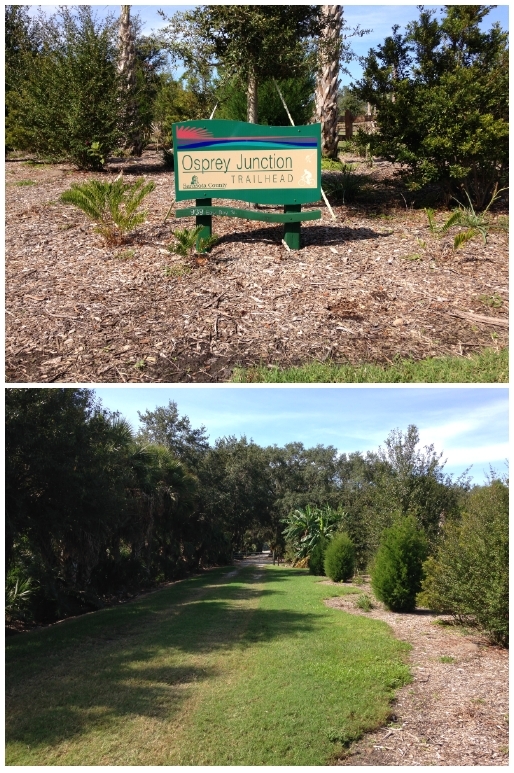 Sarasota Legacy Bike Trail. 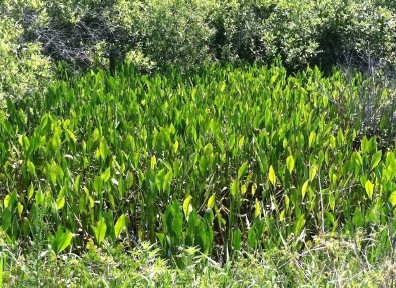 An alluring trek back to Old Florida. 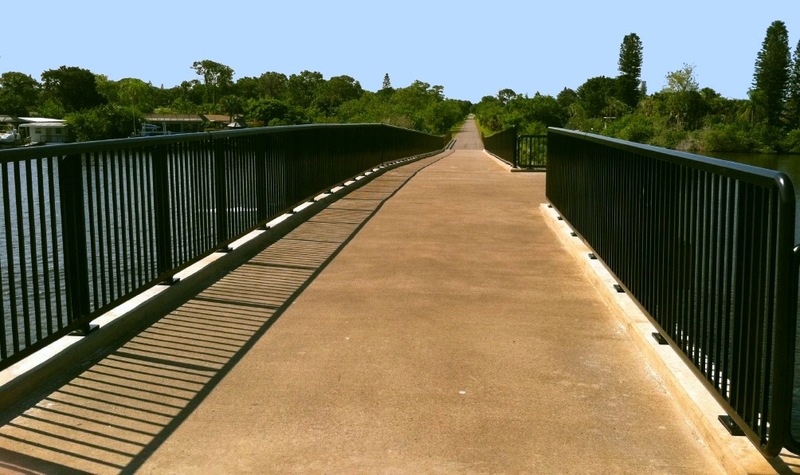 The Completion of the Legacy Trail Extension to downtown Sarasota has just made a giant step closer to reality! This happened as a result of the Sarasota County citizens voting on November 6, 2018for a referendum of the issuance a $65 million bond issue. 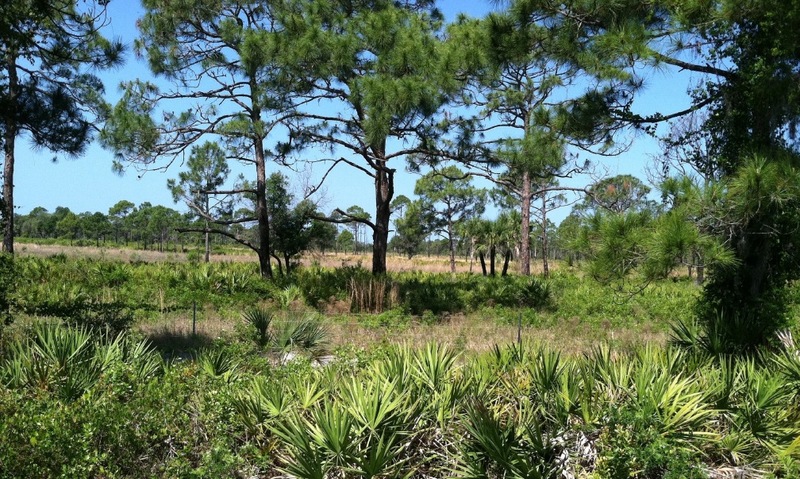 This was on top of The Sarasota County Commission unanimous approving $7.9 million purchase of a segment of right-of-way for the section from the trail head Culverhouse Nature Park to Ashton Road. 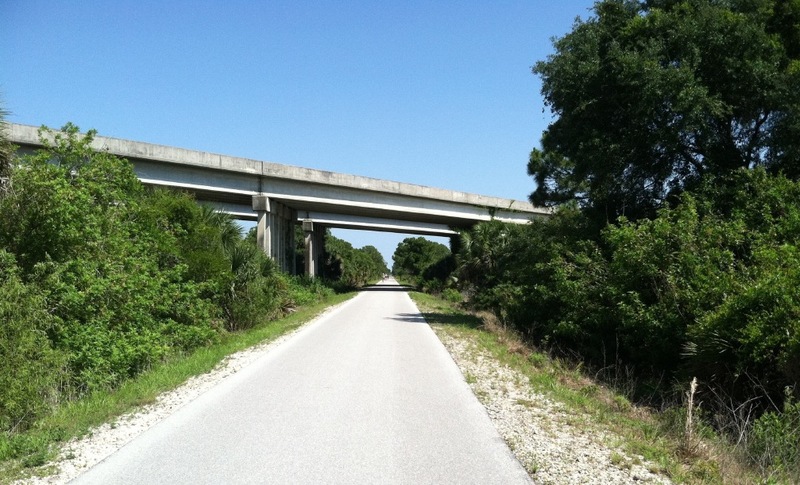 Also included are two bicycle bridges over the major roads of Clark Rd and Bee Ridge Rd. My bike at Robert's Bay. If you see me, be sure to say hi. 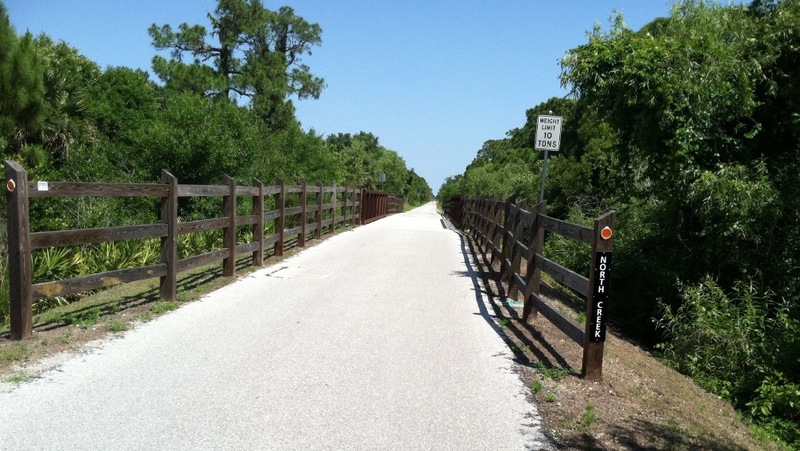 Editors Note: As mentioned I have been riding the trail since before its opening in 2011. As I sometimes do, with places I fall in love with, I made this website. At that time, I had no idea of the trail's official organization "Friends of the Legacy Trail" and since the domaine name, surprisingly, wasn't taken, I took it for my own website. 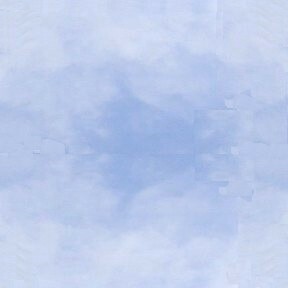 As for FLT, I joined the organization late summer 2015. They always have a lot going and are on top of the political events effecting the trail. You might want to check them out. Three events led to the birth of this web page. The obvious opening of The Legacy Trail which gave rise to my purchase of a bike. And lastly a newly acquired iPhone. (That was back in the days of iPhone4). The Legacy Trail had just opened and I was anxious to see it. As for exercise, it would sure beat the treadmill in our developments clubhouse. But first a little history. 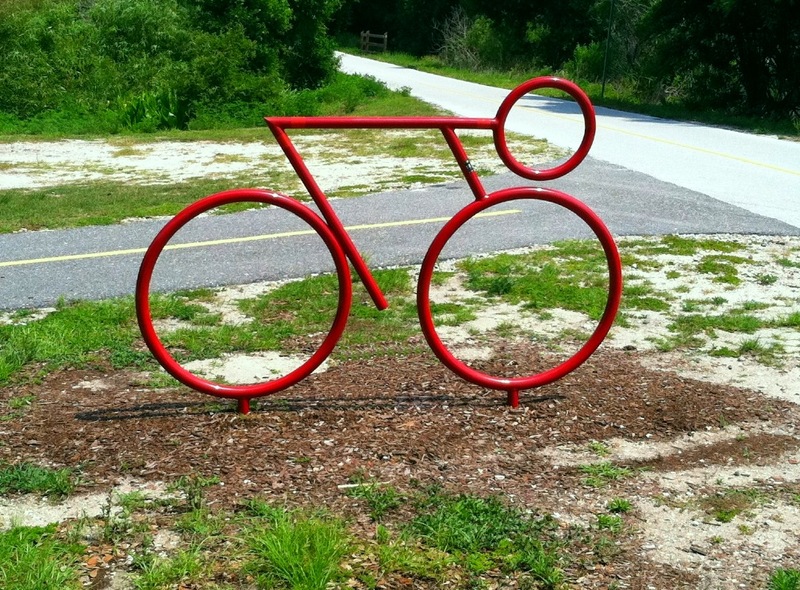 Local folks no doubt knew about the Legacy Trail since its official completion, fall of 2011. It was also the birth of this website. 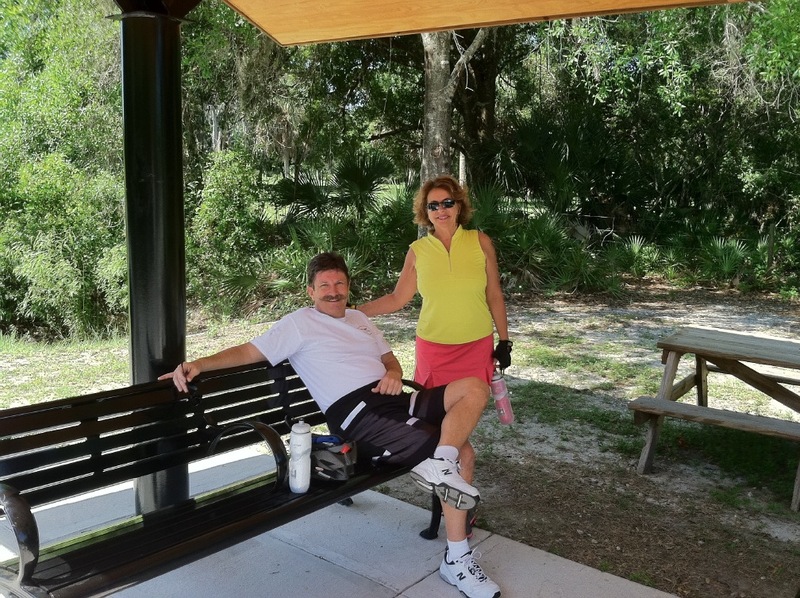 For the newcomer, the Legacy Trail is essentially the paved over railroad bed of the CSX Railroad, previously the Atlantic Coast Line, Tampa Southern Railroad, and Seaboard Airline Railway - yes 4. 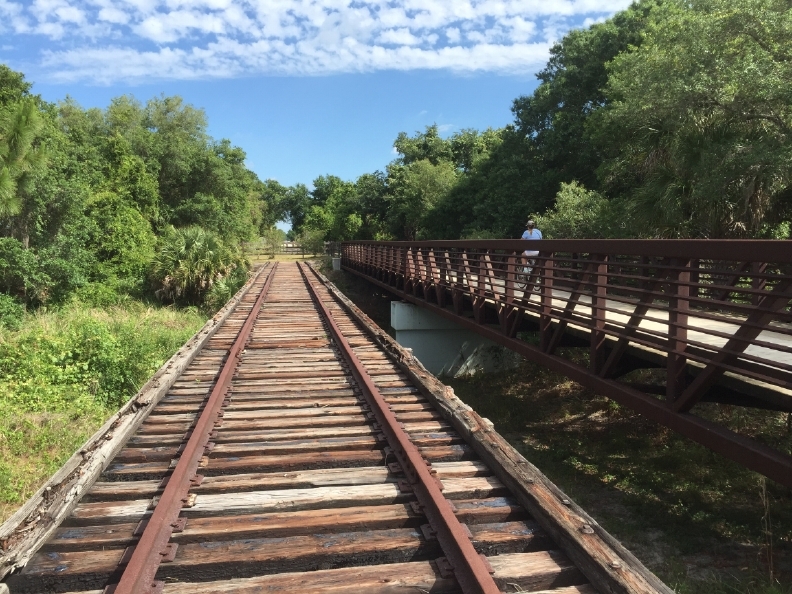 The Trail occupies the tracks that were laid to serve the Ringling Bros. and Barnum & Bailey Circus winter quarters (1911) and the Payne Terminal on Sarasota Bay plus numerous other businesses that came along. 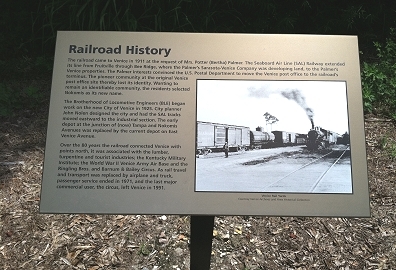 The first passenger train (SAL) arrived in Sarasota on December 1924. The last, 1971. 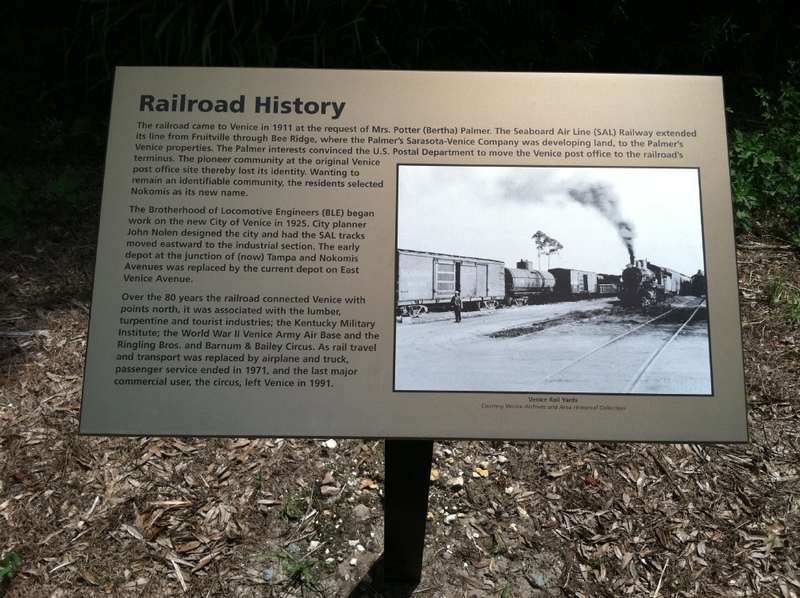 The later 16 mile extension took the tracks to its southern point where in 1927 the Brotherhood of Locomotive Engineers built the Venice Depot. It's not my intent to get into the Railroad's history in any depth. For that, you'll find some useful links at the bottom of the page. My purpose is just to relate my experience biking the Legacy Trail, one of the nicest things a city has done for its citizenry. I have yet to tire of it. About the mention of my iPhone. 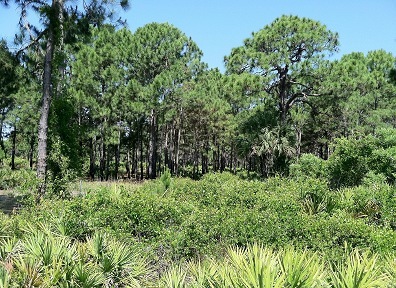 It had just hit the market, and frankly I was as awe struck by the iPhone4 as I was by the trail. In addition to the obvious, a phone is useful when biking the Trail in case of emergency, and the many practical apps for use cruising the trail as well. And in my case, the majority of the pictures on this web page were shot with my iPhone4's camera (and later 5 & 6). Still, for any picts of quality especially for more creative folks, use a real camera. 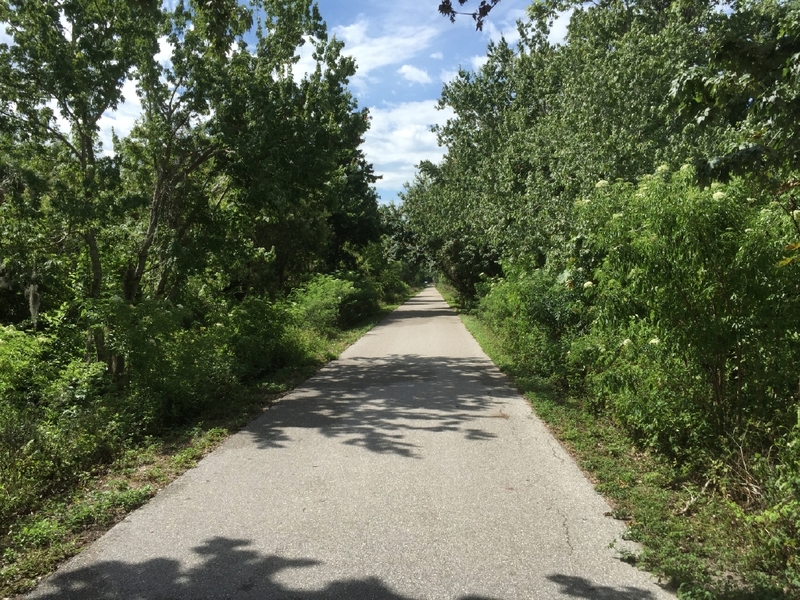 We should point out the Legacy Trail is not just for bikers. 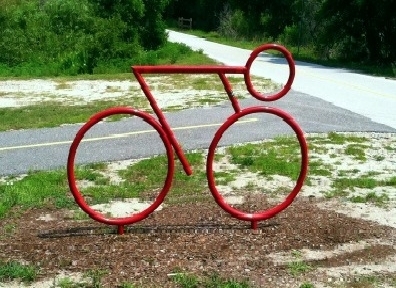 You'll see walkers, some with their dogs, joggers and rollerbladers, and occasionally some really weird looking bicycles that one would think you'd have to be a contortionist to ride. And in recent times surry rides became available. 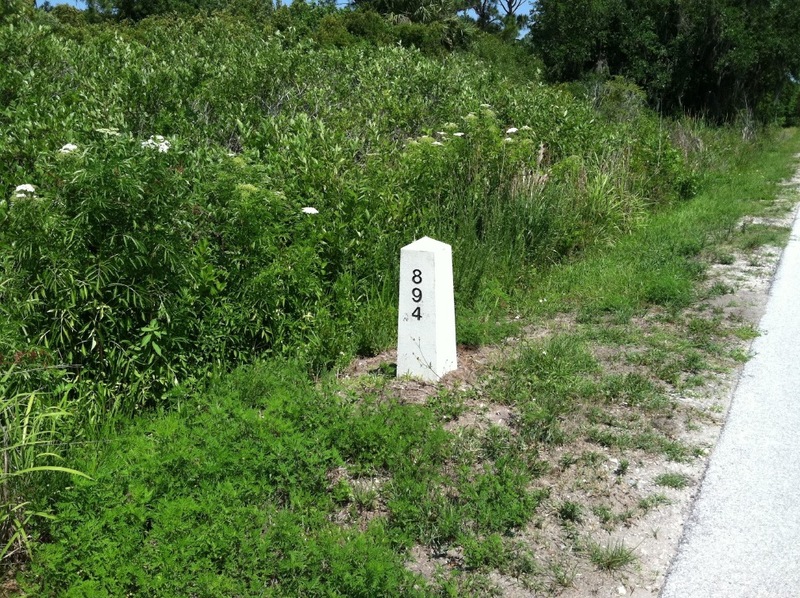 See Friends of the Legacy Trail. 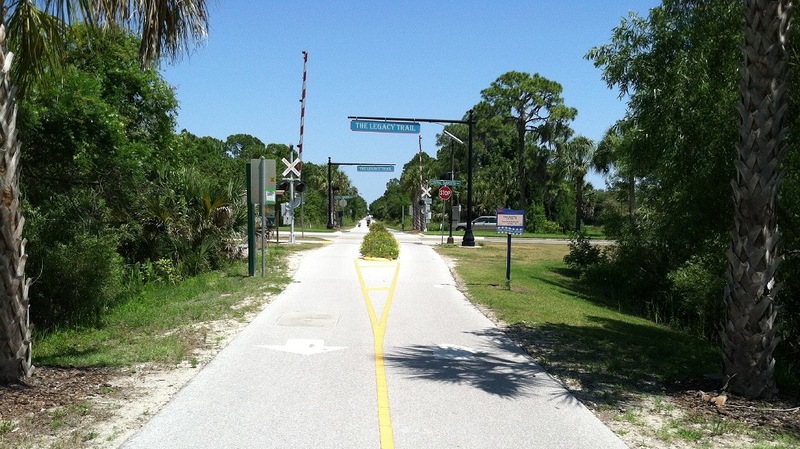 Oh, April 2, 2015 the headlines read: County OK's extending Legacy Trail into downtown Sarasota! (Here) Still needing 30 million, the county has been given funding top priority. It should start at Palmer Ranch northward. By February 2018 the headlines read "Extension takes a giant leap forward!!!!" Heading south from Palmer Ranch Station the Trail is an alluring trek back to Old Florida that I have yet to find monotonous. It's like entering a time warp into Florida as it once was. It's quiet and a place of serenity, especially the less traveled weekdays off season. 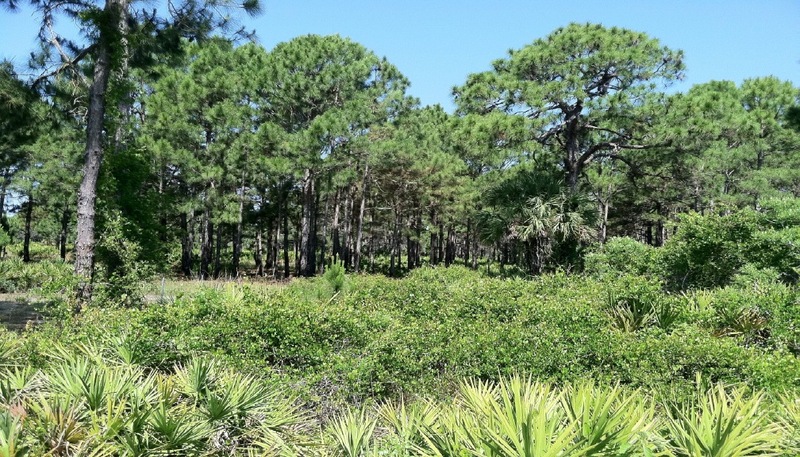 The first 5 - 6 miles are bordered with heavy foliage with occasional opening exposing a new vista, swaths of pastureland or a local neighborhood. For me the Trail's serenity ends once past Roberts Bay. Here you enter adjacent populated areas with the signs of civilization and traffic noise etc through the 41 bike overpass. From here you enter the water world of the Venice network of bike paths where you can cruise adjacent to the Inter Coastal Waterway or cross the waterway and head to the Gulf of Mexico. More on that below. 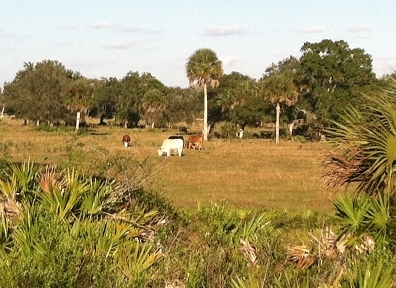 Pasture land on trail's east side. 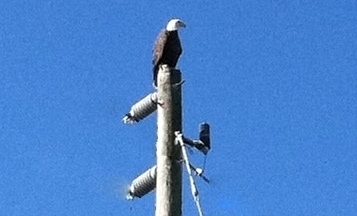 Bald Eagle atop power pole. Rainy Season Gator - adolescent. 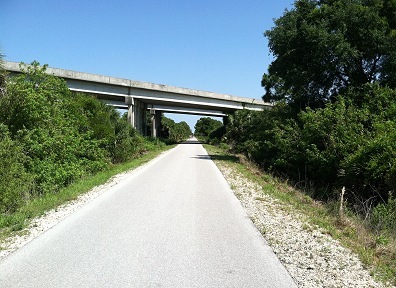 From Sarasota, the first access with parking for the Trail, is at one of the two northern parking areas on Macintosh Rd, a couple miles south of Clark. It's just south of the trail's northern terminus. 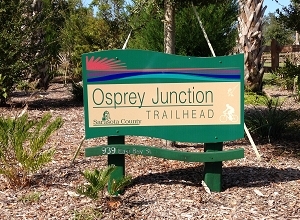 The next access with parking is the newly opened Osprey Junction Station Trailhead six miles further south. Turn east on Bay St. off of US41 (in Osprey) till you hit it. This allows for an easy trek to Dona's & Roberts Bays and Venice. I'm not one of those high powered bikers for whom treks of 30 - 50 miles are a piece of cake. 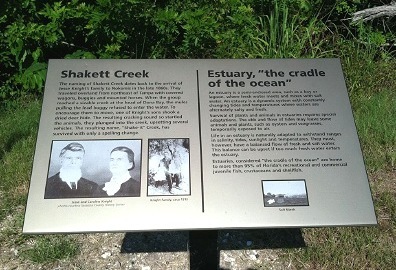 See County Trail Map. 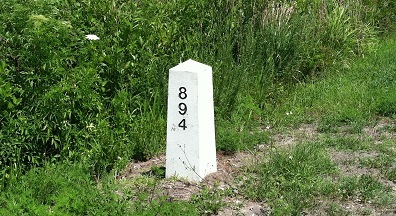 Every mile is marked with a granite obelisk. The numbers are in the 800's, beginning at Richmond Virginia, the railroad's northern terminus. You will also notice yellow ovals every .5 miles in the center of the roadway. 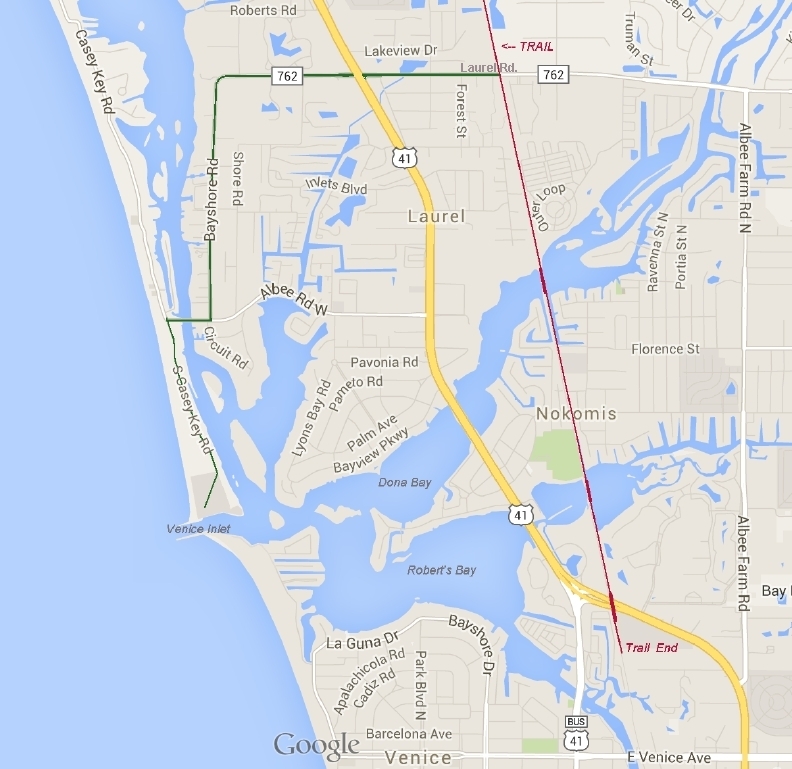 The Milage indicated here is the distance to the US 41 bridge in Venice and to be used in emergency. 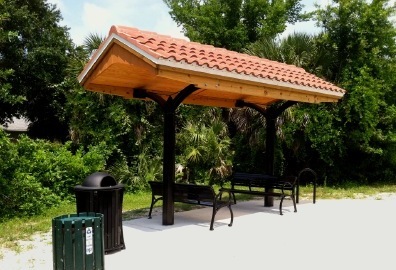 Also about every mile is an attractively covered shelter / rest area with a couple benches. Some have picnic tables, with a adjacent park, water fountain and a porta-potty. 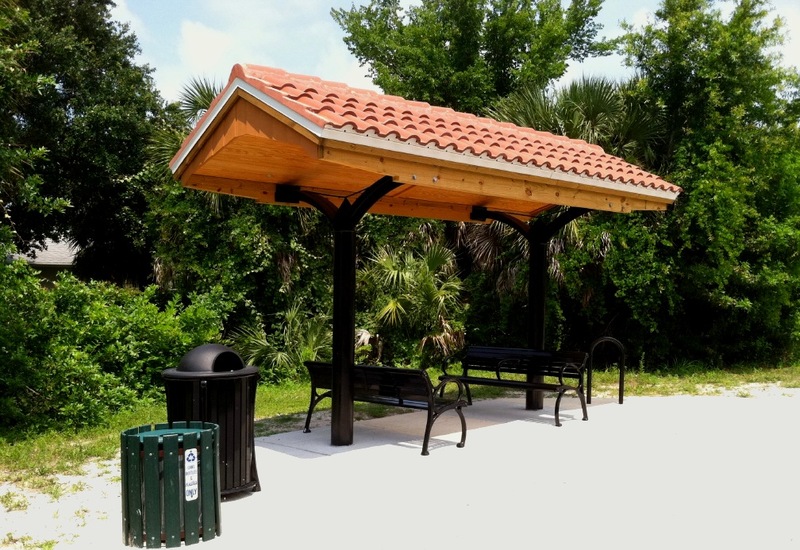 The shelter at Central Sarasota Parkway was donated by Rob & Susan Harlan in the hopes others would follow. No luck, so "stimulus money" paid for the rest, with appropriate names such as Osprey Junction, Mission Valley, Lambertville etc. 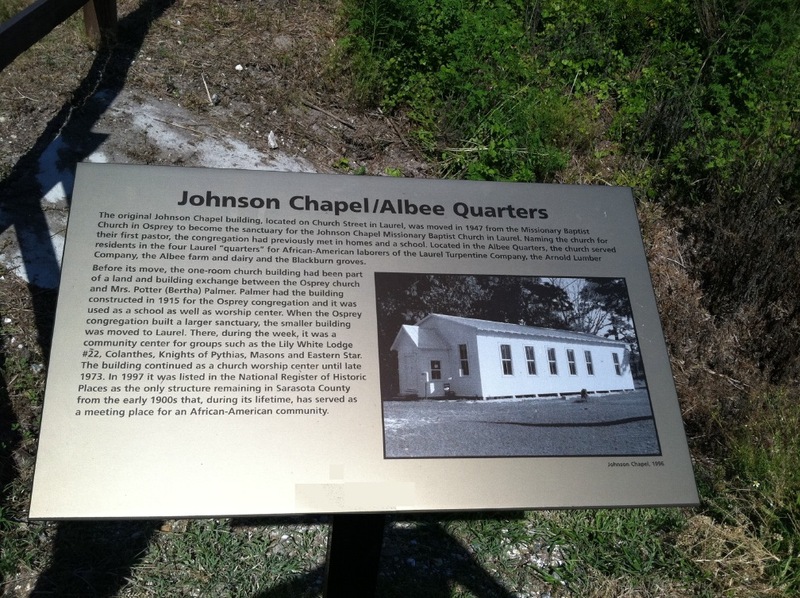 Also along the way about every two miles is an engraved metal plaque recounting a little history of the railroad, early settlers, wild life and fauna. How many will you see? A few are pictured below. 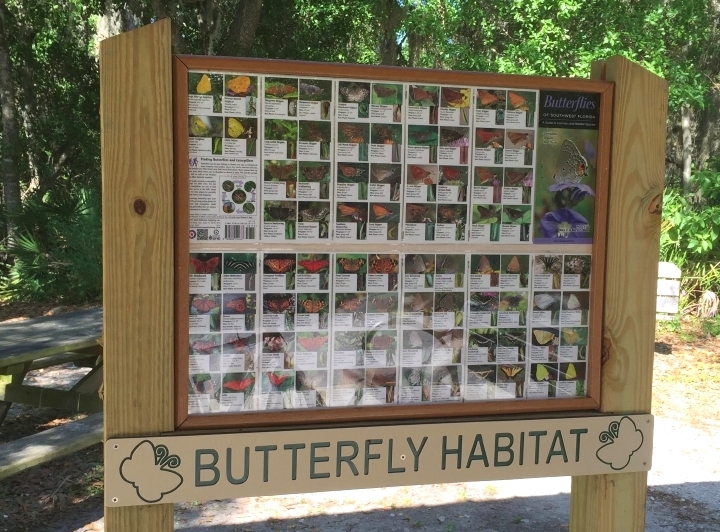 I almost forgot the new display of butterflies at the Mission Valley Station rest area. The Palmer Ranch area for the most part is shielded from civilization and if you go early enough, it's shaded from the sun by the trees on the trails east side. 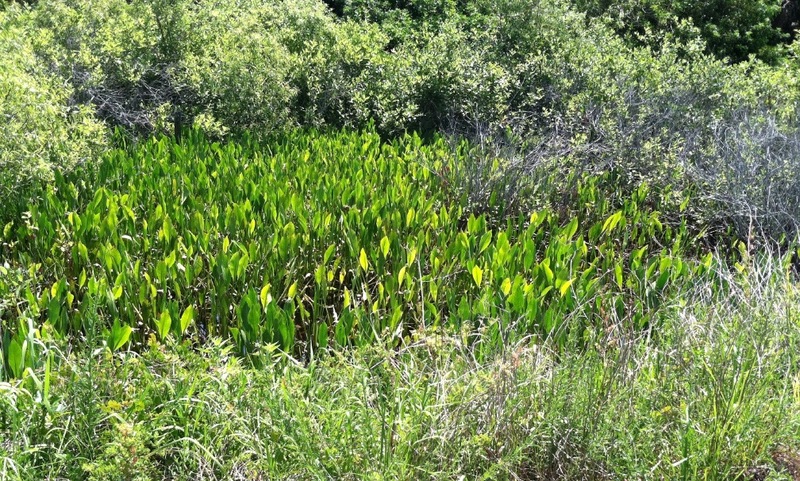 Through the varied and thick growth on both sides you'll occasionally see a home, wetlands and farmlands, sadly some under development. You'll cross over streams, North Creek, South Creek and Catfish Creek to name a few. 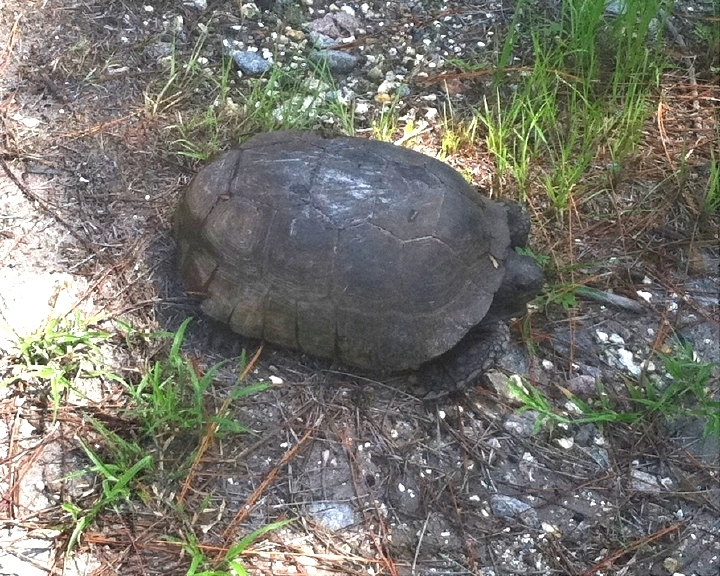 Turtles and snakes are common especially during less traveled periods. 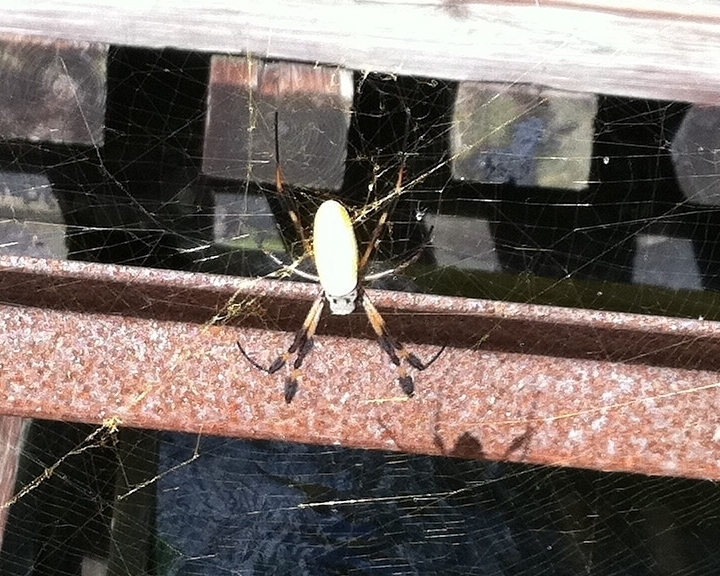 Once I saw a very large Banana Spider hanging from the North Creek Trestle and not far a Zebra Longwing butterfly hovered over some Butterflyweed flowers. 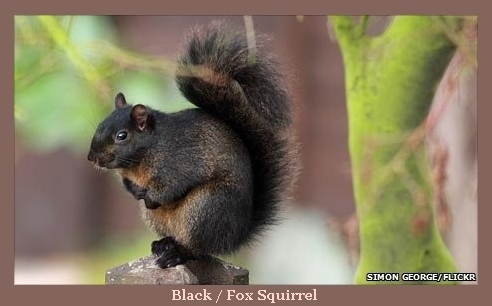 On about one in ten trips you might see the less common Florida Fox/Black Squirrel in place of the usual grey variety. 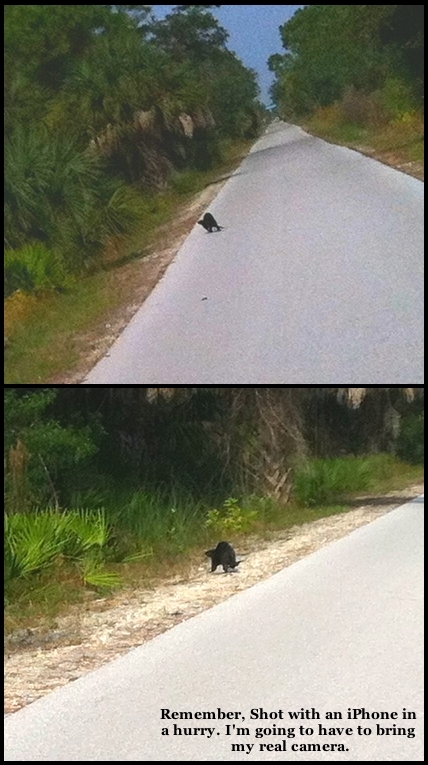 Recently a black squirrel sauntered nonchalantly along the trail oblivious to my presence as I passed him by. 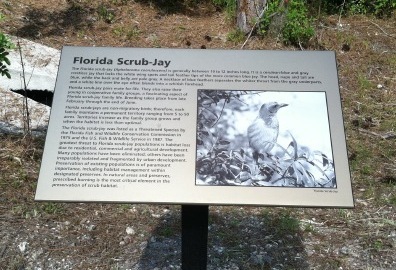 Then there are the song birds along route - Cardinals and Mocking Birds that serenade your passage especially during spring mornings. I was told, it isn't unusual to see a bobcat, panther or otter at dawn or sunset. 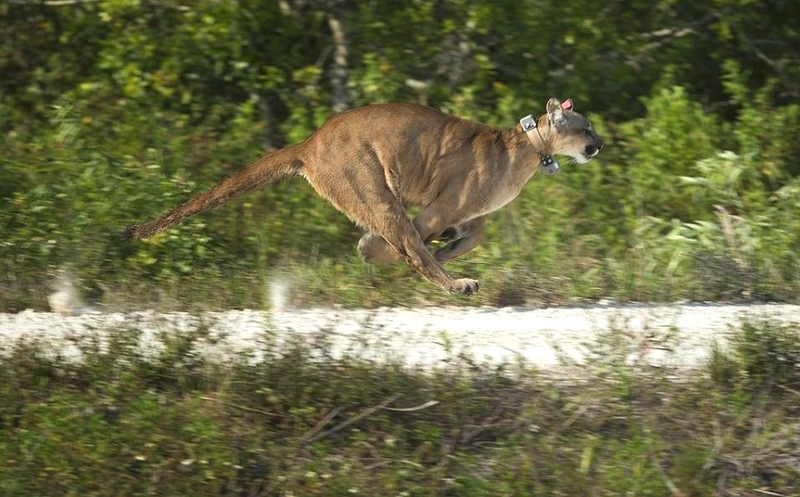 Then in December there crossed right in front of me a Florida Panther. I should say, he casually meandered across the path, glanced at me and continued on his way. 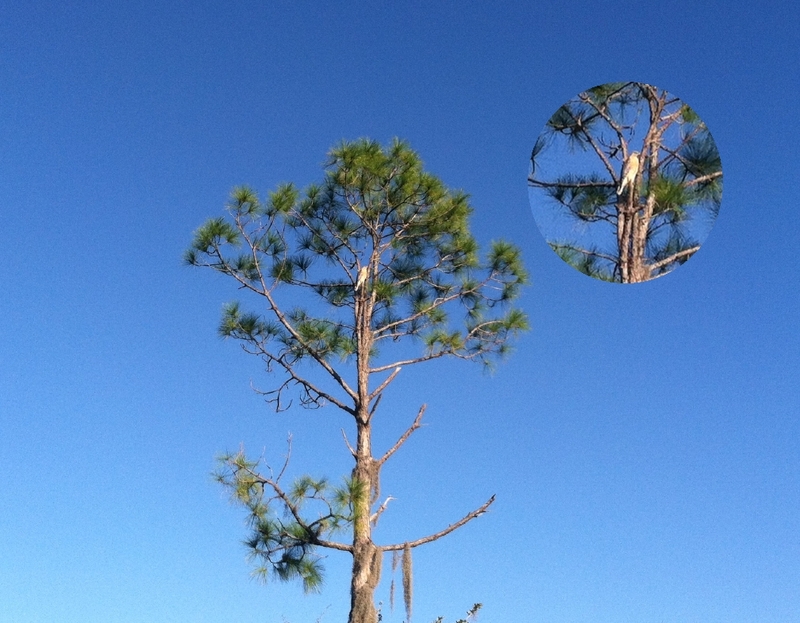 Unfortunately I fumbled with my iPhone but didn't get it out in time. A woman passing from behind exclaimed "Was that a Bobcat?" "Actually a Panther" was my reply. Then only a week later what was scampering along the trail, but an Otter, this time I did get a couple picts of questionable quality. Both incidents occurred south of 894 late morning. 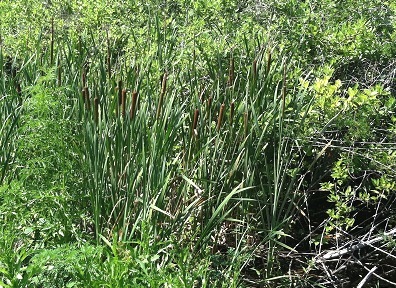 During the summer rainy season when the sun is high and the culverts carrying the runoff are full, look carefully and you will see crawfish and small fish about 3" in size darting about. One place where this is quite common is the culvert behind the rest area at marker 894. 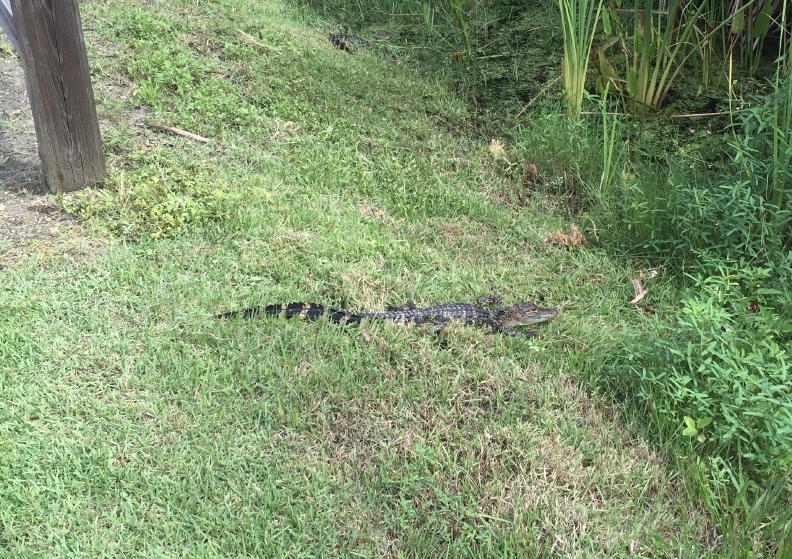 Late summer 2015, the inordinate amount of rain brought in the Gators. 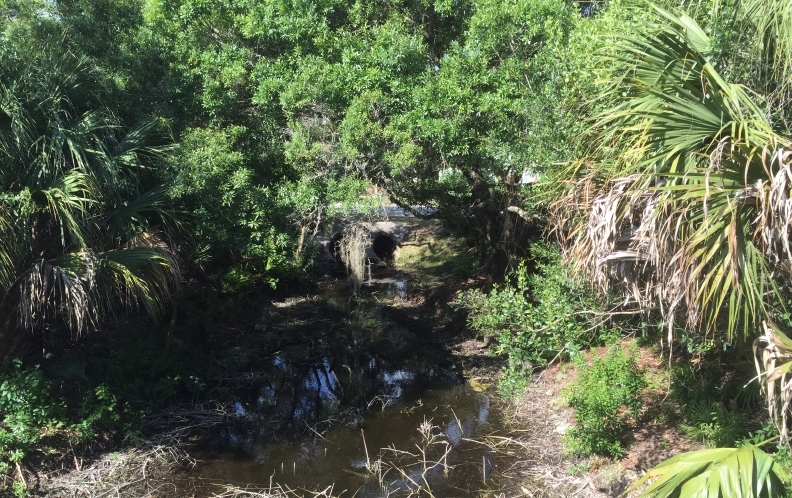 The photo at left was taken just south about 100 yards furthure at an unmarked culvert's bridge. Atop Dona Bay Bike Bridge. One of many prescribed burns. Click for more picts. 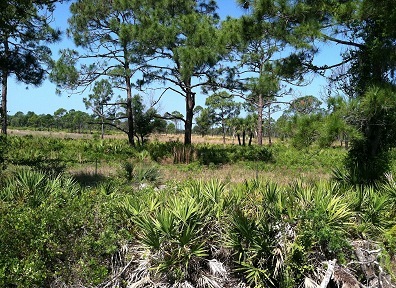 Throughout early fall as the rainy season comes to an end, one will often see billowing smoke in the distance from one of of the many controlled burnoffs of the Florida Scrub. The above is one such burnoff not uncommon you'll see in the drier months. My wife, after some persuasion, joined me biking the trail. 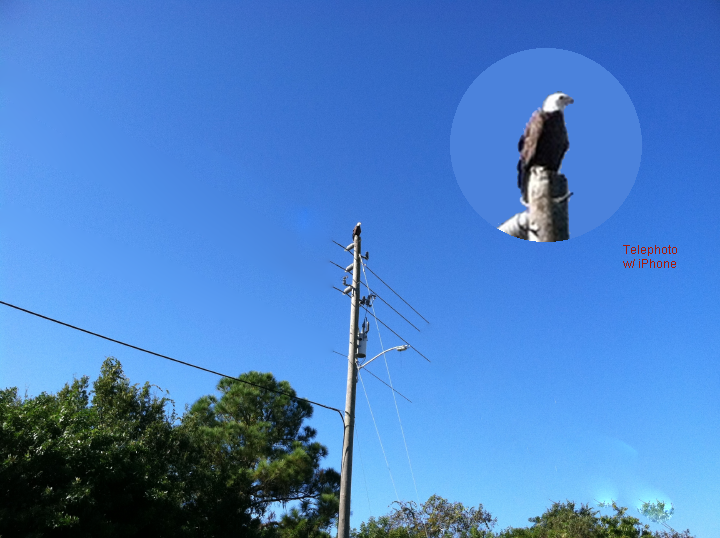 And much to our surprise on her inaugural journey we saw a pair Bald Eagles sitting on adjacent power poles at Central Sarasota Pkwy. Those same eagles must have a nest thereabouts, as on subsequent trips I've seen an immature eagle sitting on trees adjacent to the trail. 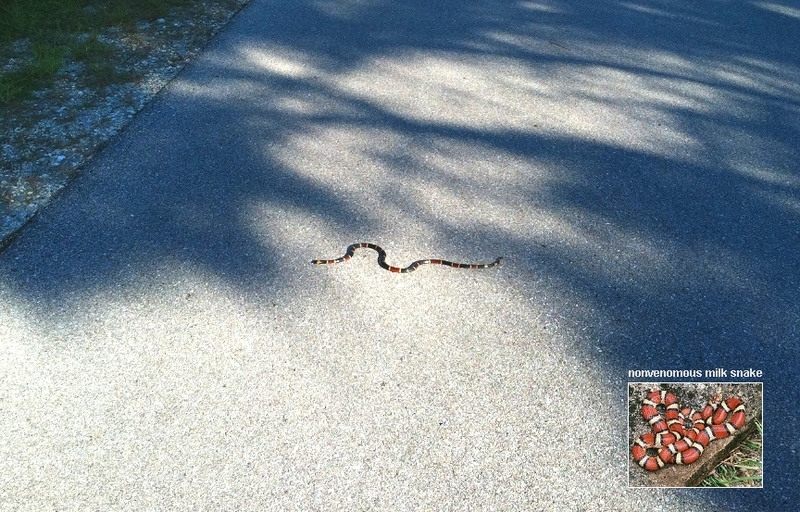 Down the trail a bit near marker 97 we came across a Coral snake. Yes, venomous. 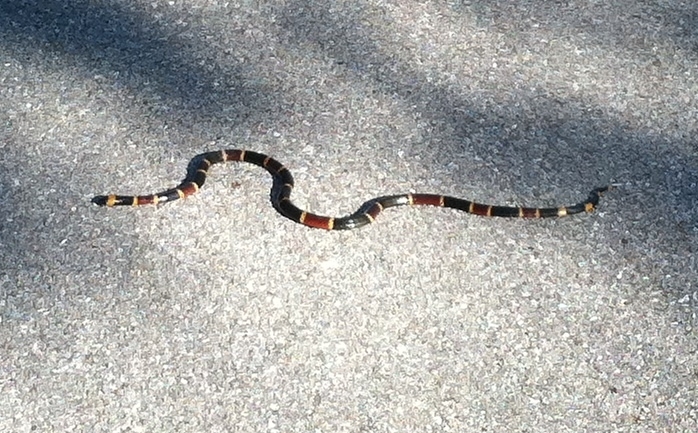 I had never seen one before and assumed it was the "false" Coral snake or milk snake. If you come across one just remember "if red touches yellow it can kill a fellow". Back to my first trip which wasn't without surprises. 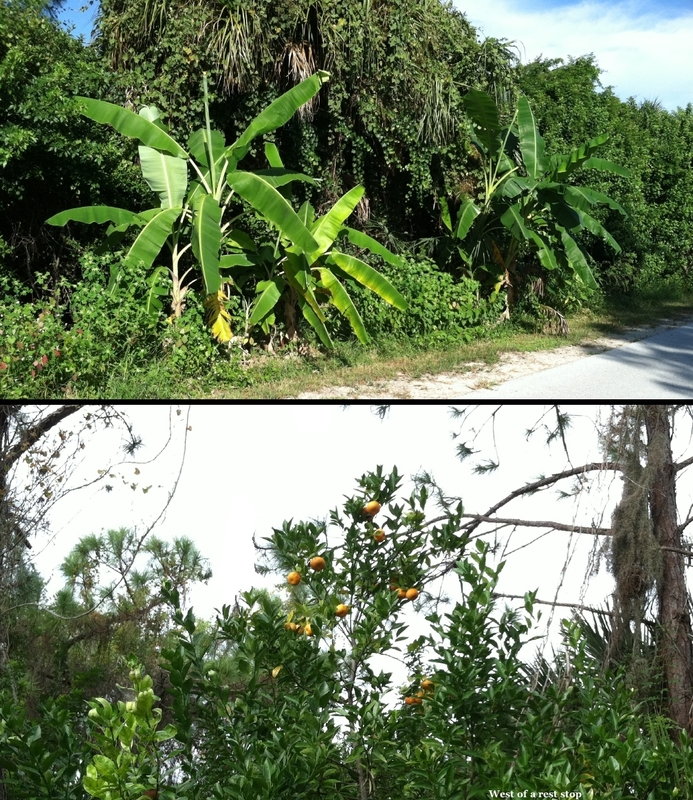 About a mile south of Central Sarasota Pkwy, on the west side, you'll often hear some heavy equipment. 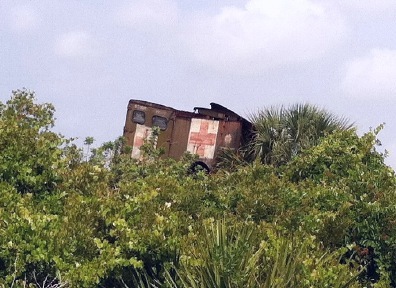 Searching for the sound, I noticed above the heavy growth some piled up WWII army ambulances. I couldn't believe my eyes. 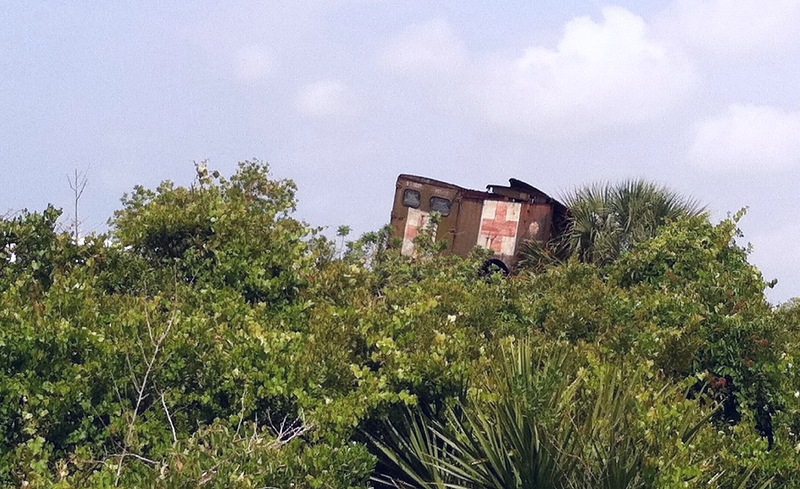 Seems there is a scrap yard there, that in my 25+ years in Sarasota, I never new about. 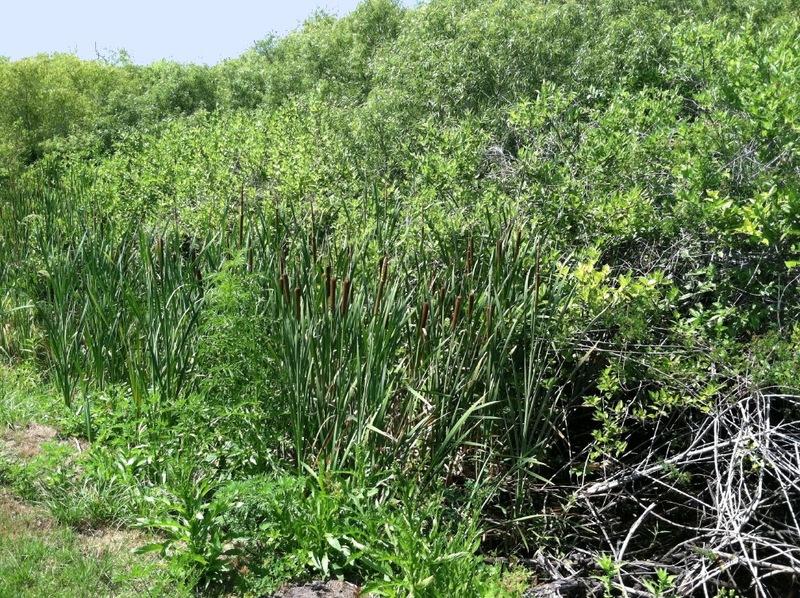 And just further along, you see signs posted for a 10 acre horse ranch for sale. Humm...both are no longer there (2018). 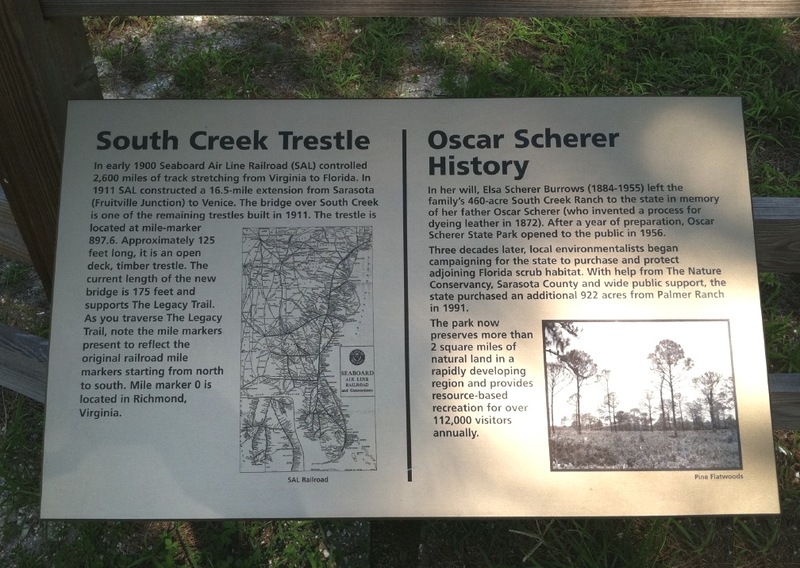 Heading south, just past Oscar Scherer Park the Trail takes a left jog paralleling the original rusted railroad trestle over south creek. You can even smell the old creosote. Now look south, high above is the overpass of route 681. If you dont see any critters on your first trip, keep trying. 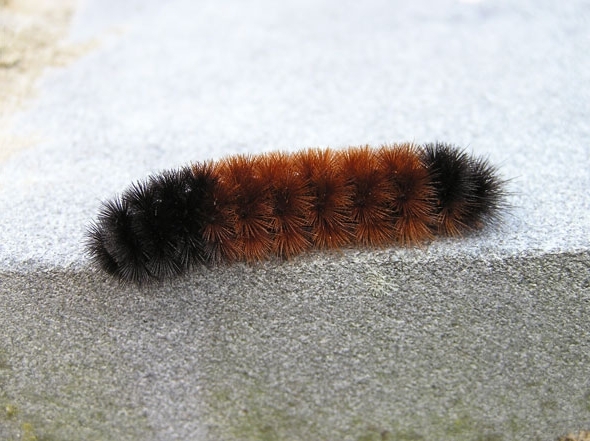 One you should probably see pretty much all year and heaviest in spring is the Yellow Woolly Bear or Spilosoma virginica, you'll see them crossing the trail by the hundreds, thousands. 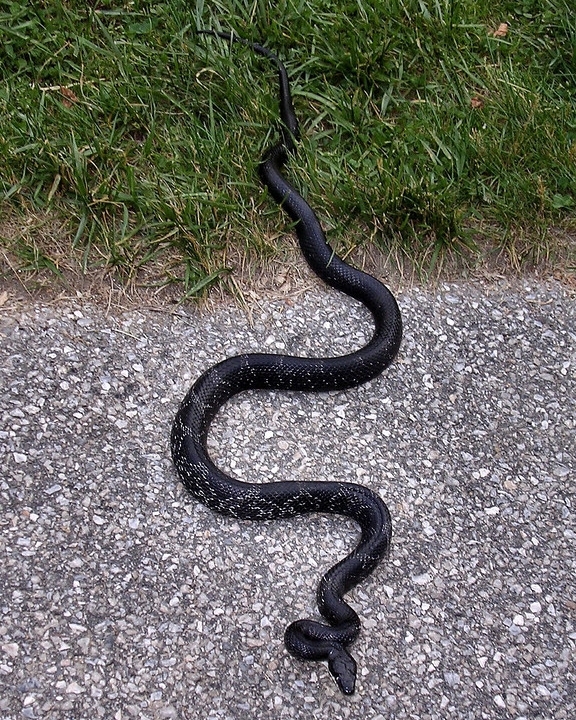 Most dont make it across as evidenced by the many dark blotches on the asphalt. In case you are wondering, The wooly bear is actually the Tiger Moth. More info. Continuing south the first road you come to is Laurel Rd. ** A half a mile beyond is Dona Bay. Here to my amazement is an exclusive span made for bikers and pedestrians to cross the bay, with lovely panoramas in all directions. It even has viewing areas to allow bikers to pass. I should point out that the pedestrian bridge is midway between between Laurel Rd. and Colonia Ln. and a half a mile walk from each in case you want to drive down and walk the span. NOTE: Laurel Road's bike overpass is now under construction and promised to be open in fall 2018. TV Story & Video. About a mile south of Dona Bay, you will arrive at Robert's Bay and its lovely bridge span. Still further and you'll arrive at the US 41 bike / pedestrian over pass which officially opened November 2011. On the other side, you'll arrive at the Venice Railroad station. 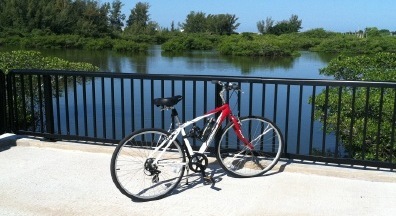 From here bikers can link up the Venetian Waterway Park (VWP) and Trail that parallels the Intracoastal Waterway and continues south to the Shamrock Park Nature Center. 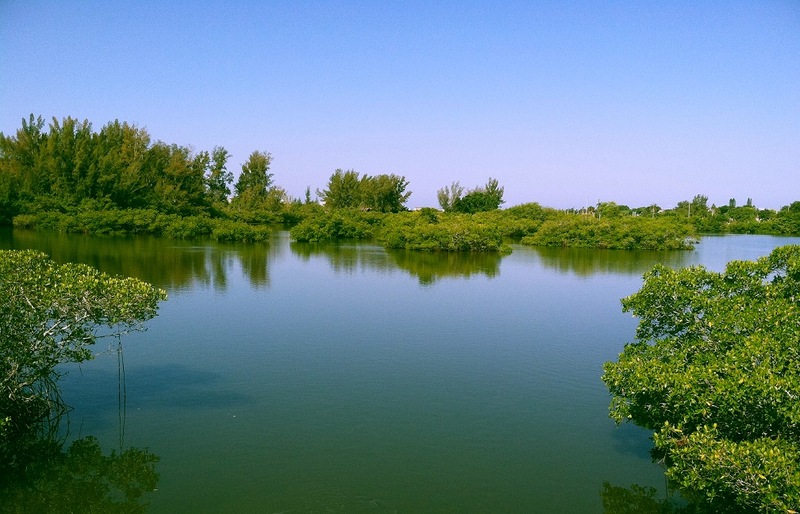 Or you can cross the Intracoastal Waterway on one of two draw bridges to the VWP island-side Trail and south to Caspersen Beach and Park on the Gulf of Mexico. See links below. 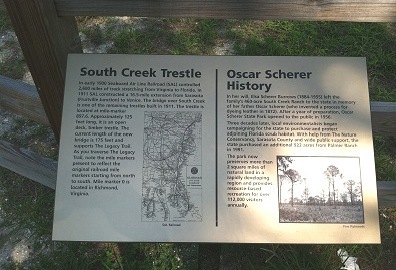 South Creek / Oscar Scherer. 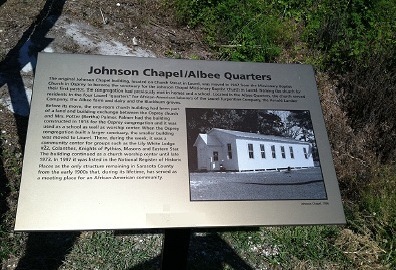 Johnson Chapel / Albey Quarters. 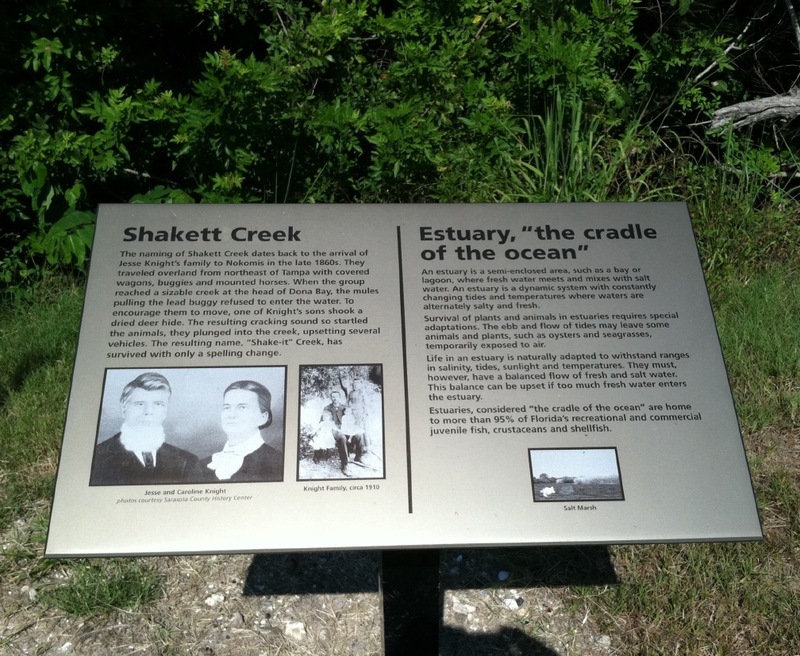 Shalett Creek / The Cradle of the Ocean. 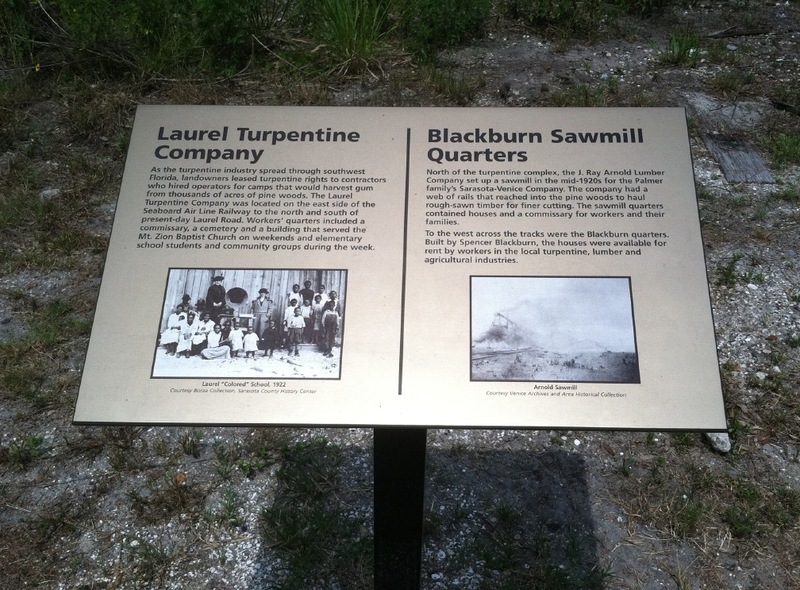 Laural Turpentine / Blackburn Sawmill. 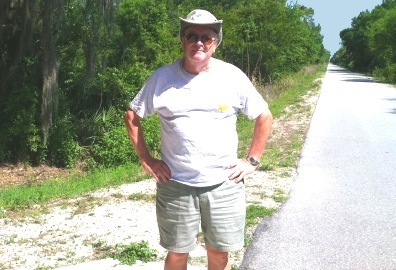 That be me at a rest stop. 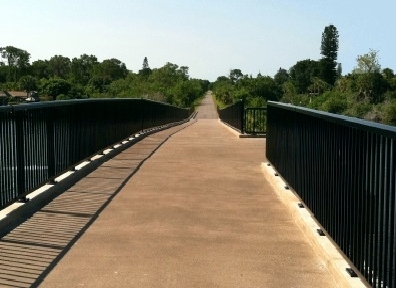 The End of the Line of the Sarasota Legacy Trail: The Pedestrian Overpass at US41 Venice. Shown here with construction almost completed just prior to overpass opening in November 2011. 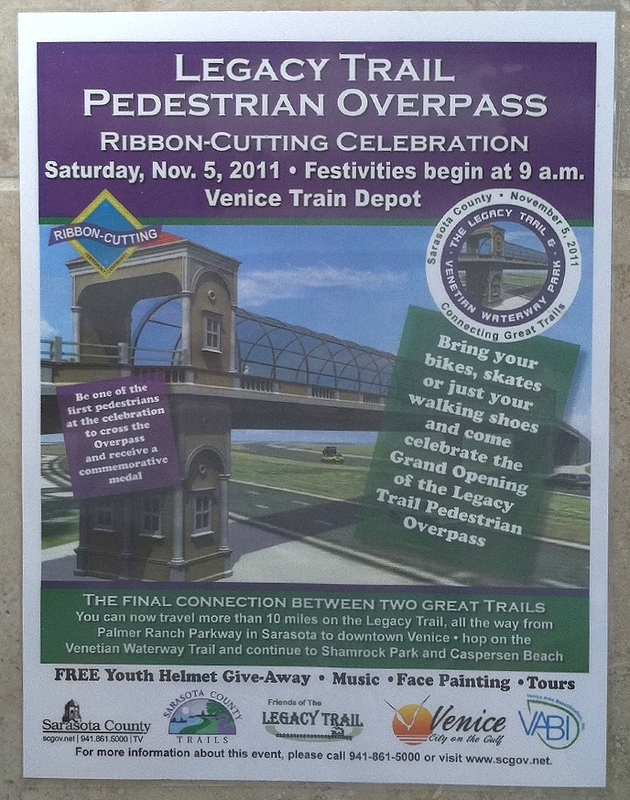 The US41 Venice ByPass / Pedestrian Overpass opened with a ribbon cutting ceremony November 5th, and yes we were there. The Overpass was covered with wire mesh to prevent objects falling or being thrown to the roadway. 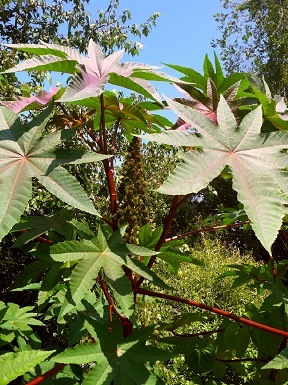 Frankly it's less attractive than shown above. 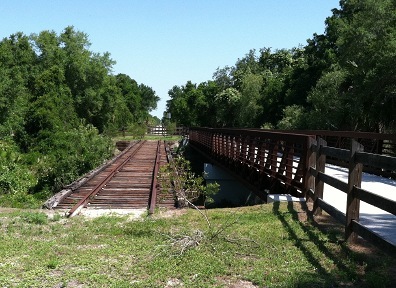 Just south of the overpass lies the Venice Depot where the festivities took place. 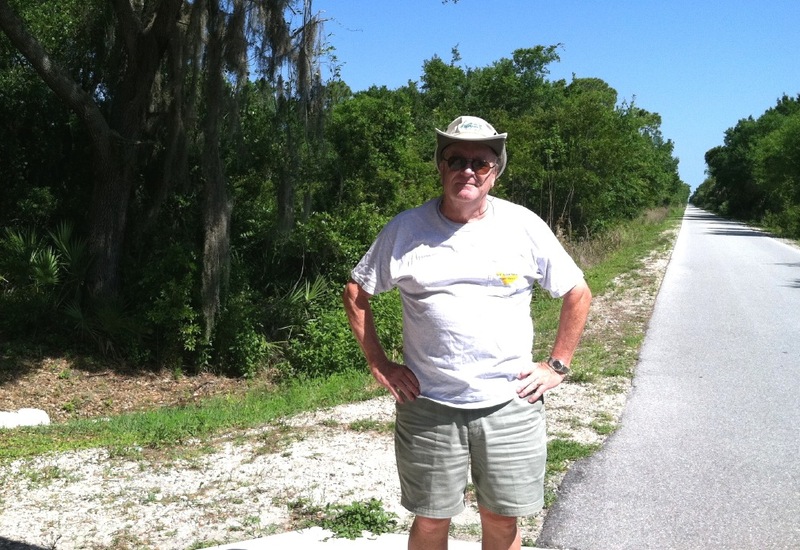 We continued on a bit along the Venice Water Trail which parallels the Intercostal Waterway and turned back for a 14 mile, wind in your face trip home. 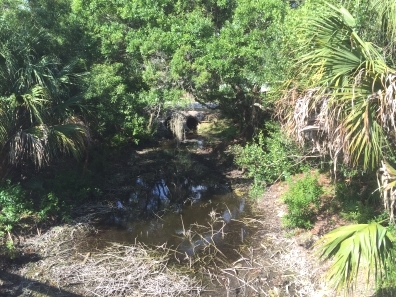 In Venice, in addition to the town, there is a lot to see but it is a hodgepodge of connected trails and sidewalks some of which you'll have to use to cross the drawbridges leading to the beach and the waterways west side path. 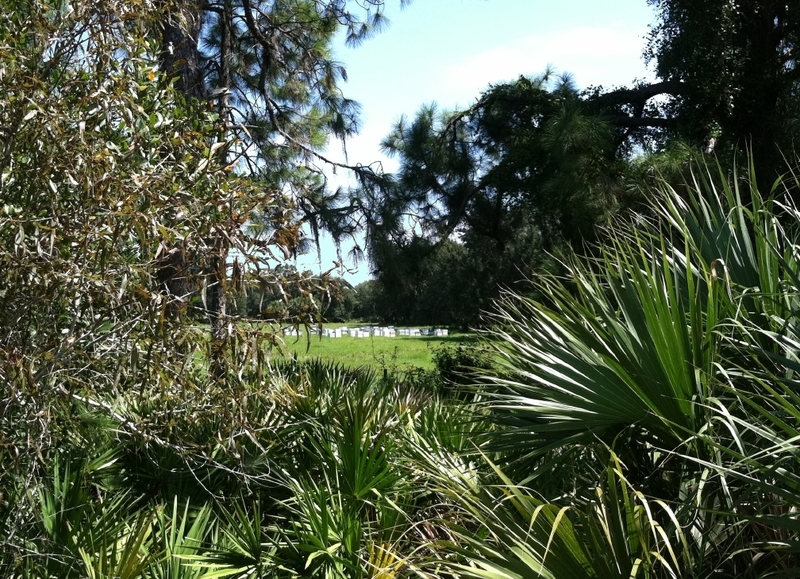 The Gulf beach beckons as do the waterway paths. Some parts are beautiful but many places are busy with traffic and in no way comparable to the Legacy Trail. IN SUMMARY: I would say more bikers pass me than I pass. The ratio might be 30 to 1. 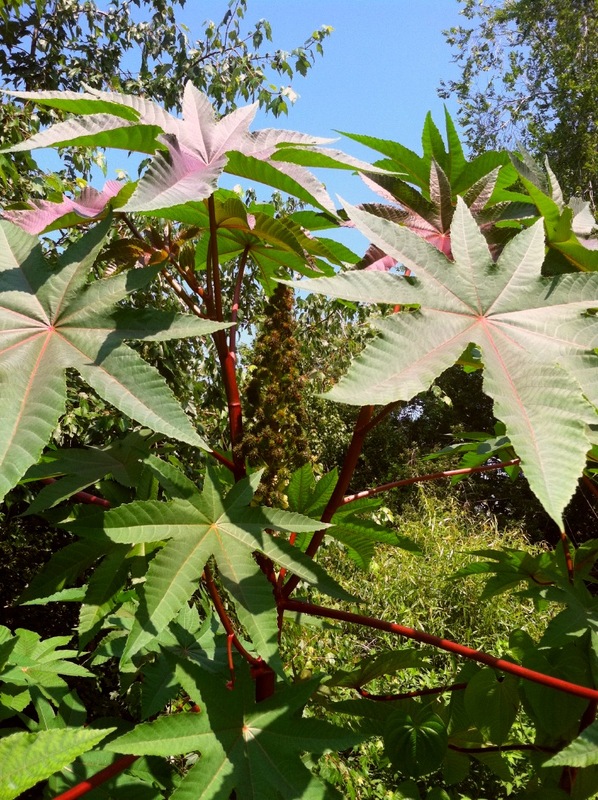 I more or less cruise along looking for something not seen before - a new and unusual tree or flowering plant, an opening in the foliage to a new vista. Even after all this time, I noticed in the field to the east of the Trail approaching marker 896, an area beekeeper has set up his hives. 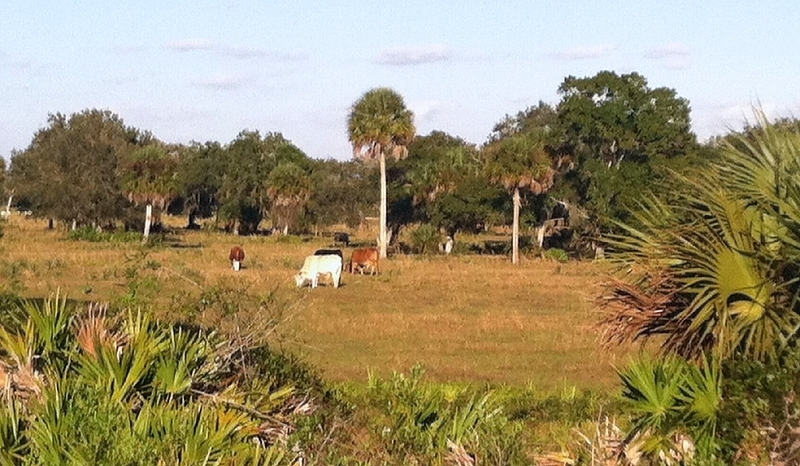 Sadly I also know that same field is slated for development as are other pasture lands you pass. 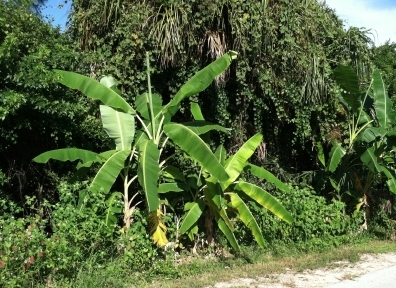 I'd bet by 2020 they'll be gone and surely by then the Legacy Trail will take you to downtown Sarasota. **PS. Above is one of our favorite places to hang out (even by car). That be the North Jetty at the Venice Inlet. 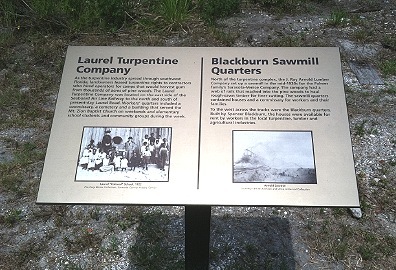 It is accessible from the Legacy Trail by taking a detour at Laurel Rd. (Rt. 762). Just head west on Laurel Rd and cross over US41 to about as far as you can go turning left on left on Bayshore Rd., taking you to Abbey Rd. Turn right / west over the draw bridge. 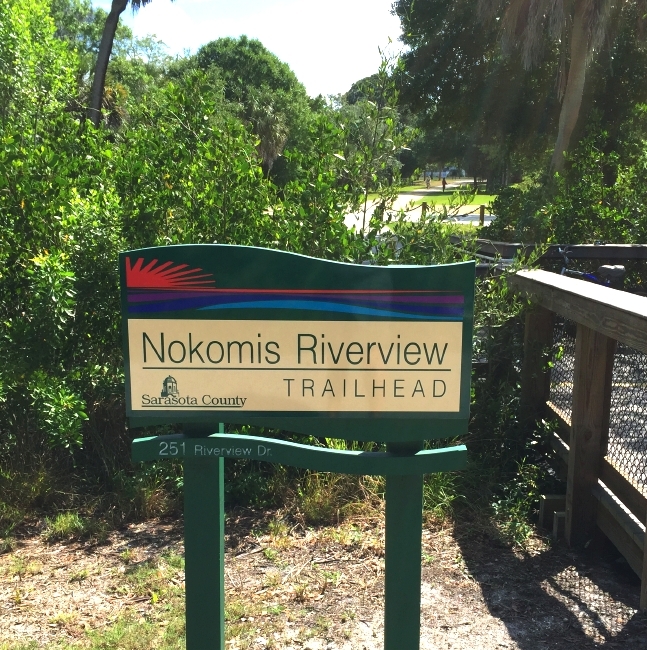 You are now at Nokomis Beach. Turn left, south, about a half mile is the Venice Inlet. See Map. 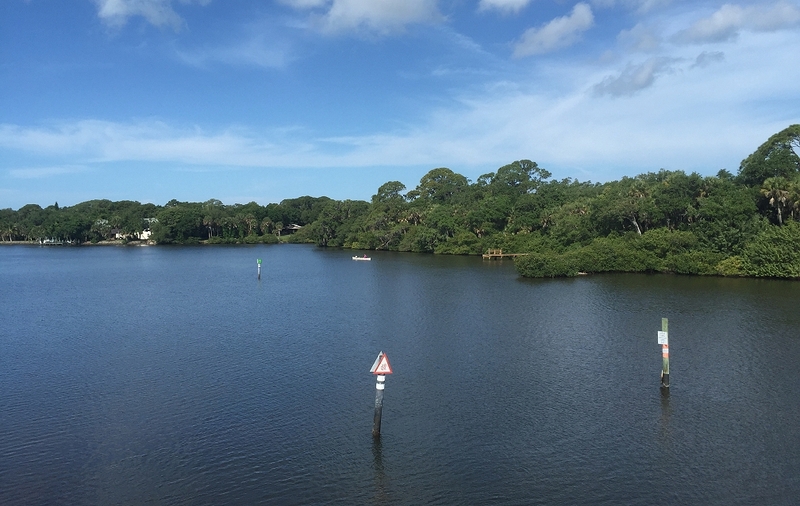 Because of its deep water, the inlet is a high traffic area for recreational boats passing to the Gulf. 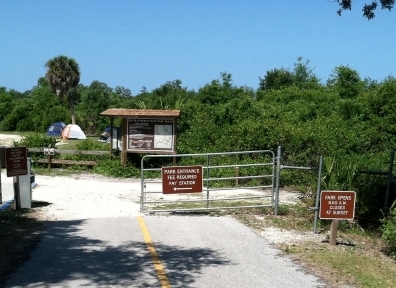 Here you'll find the "North Jetty Fish Camp". Basically it's an old Florida bait and tackle shop that includes, snacks, burgers and beer. The beach here is famous for its shark tooth festival in April. 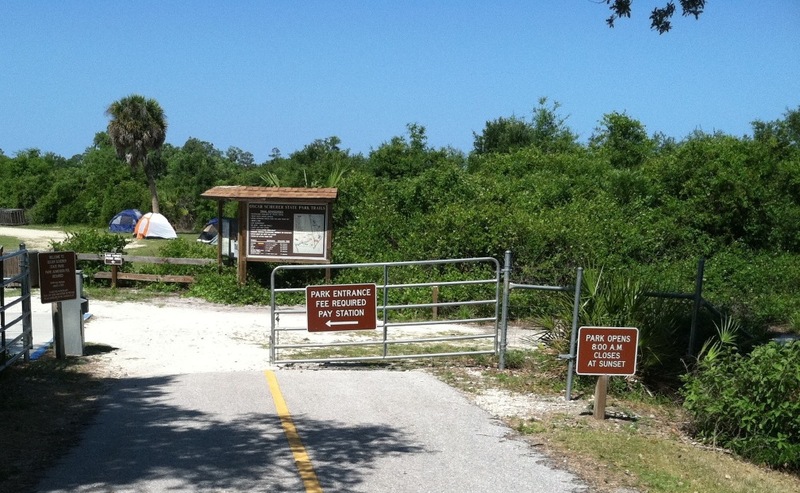 Lock your bikes and head to the beach or take a walk on to the jetty, a favorite spot for coastal anglers. New restrooms are adjacent to the parking lot. 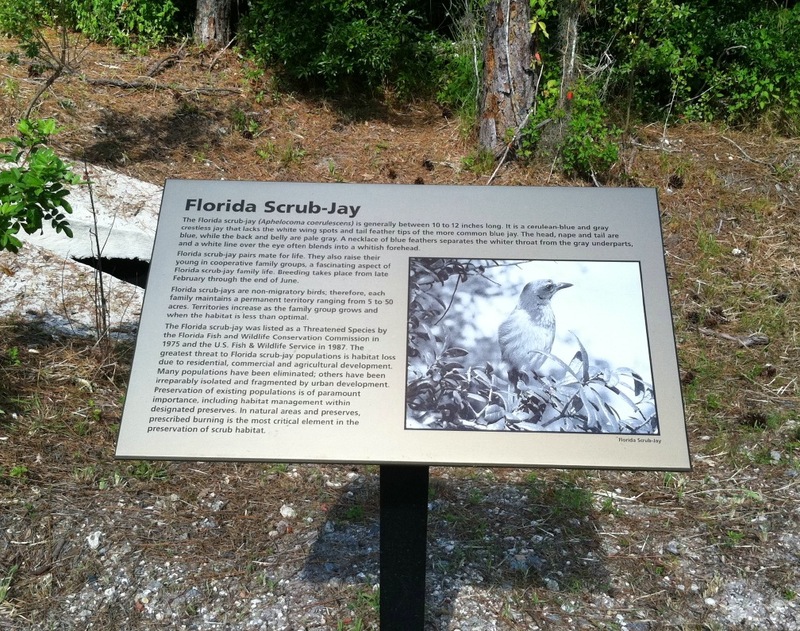 © 2011 - 2018 Sandy Estabrook, SarasotaLegacyTrail.com.